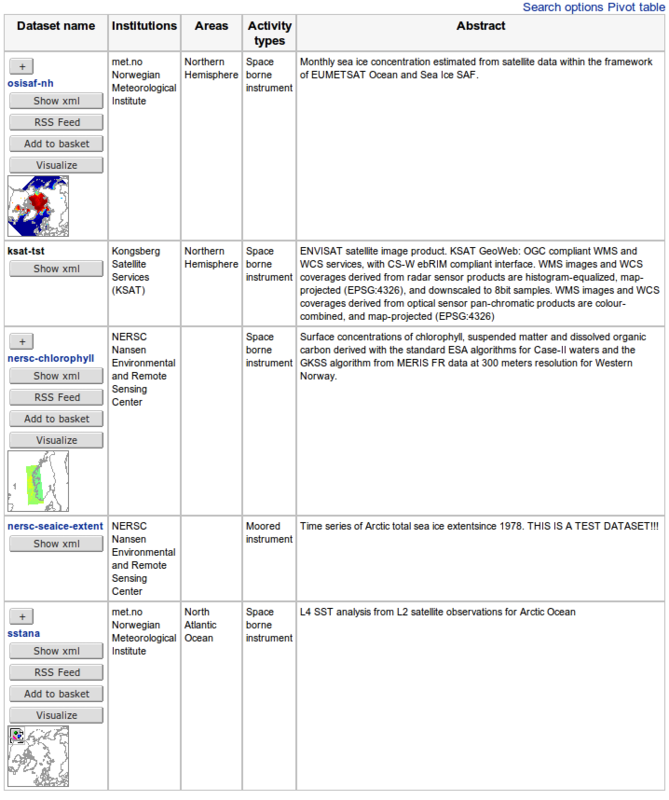 Open the METAMOD catalogue search page. In this application you can define a set of search criteria, and initiate a search based on this set. In the left menu you will see a list of search categories. Each link represent one search category. Activating one of these links brings you to an interactive page for defining/modifying search criteria for the corresponding category. 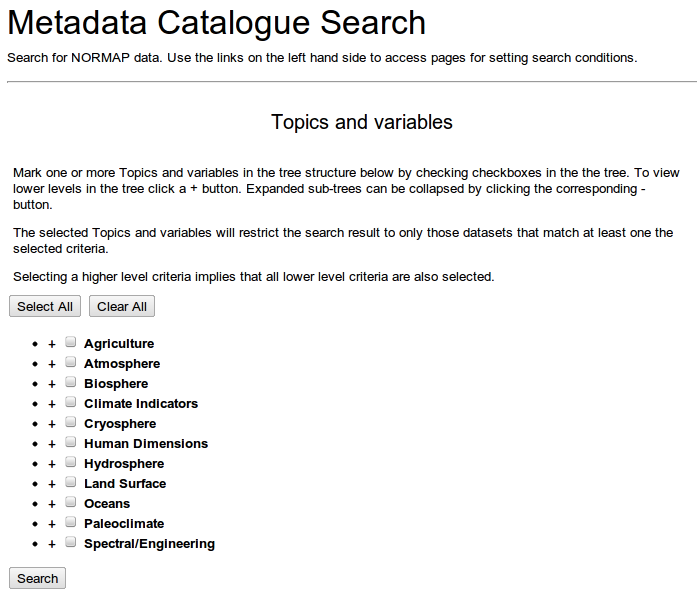 Click on the 'Topics and variables' link and choose the topics and variable you want to search for. Click on the '+' to expand or '-' to close the tree of sub-topics or variables. 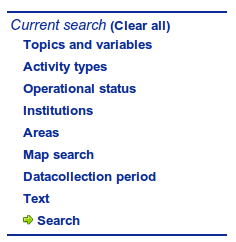 So far don't click on the 'SEARCH' button but rather click on another search category 'Activity types'. Mark one or more Activity types from the list below by checking the corresponding checkboxes. 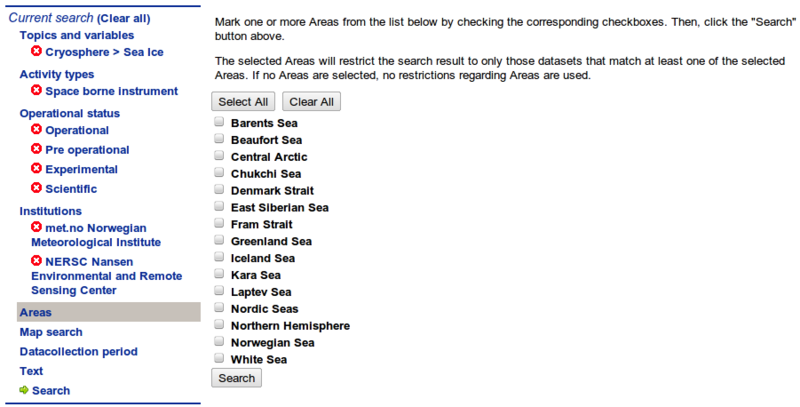 The selected Activity types will restrict the search result to only those datasets that match at least one of the selected Activity types. If no Activity types are selected, no restrictions egarding Activity types are used. Notice that the selected topic / variable appeared now in the left menu. It can be deleted by clicking on the red 'x'. Proceed with choosing a operational status of the data. Choose which institutes you want data from. .. on the map. 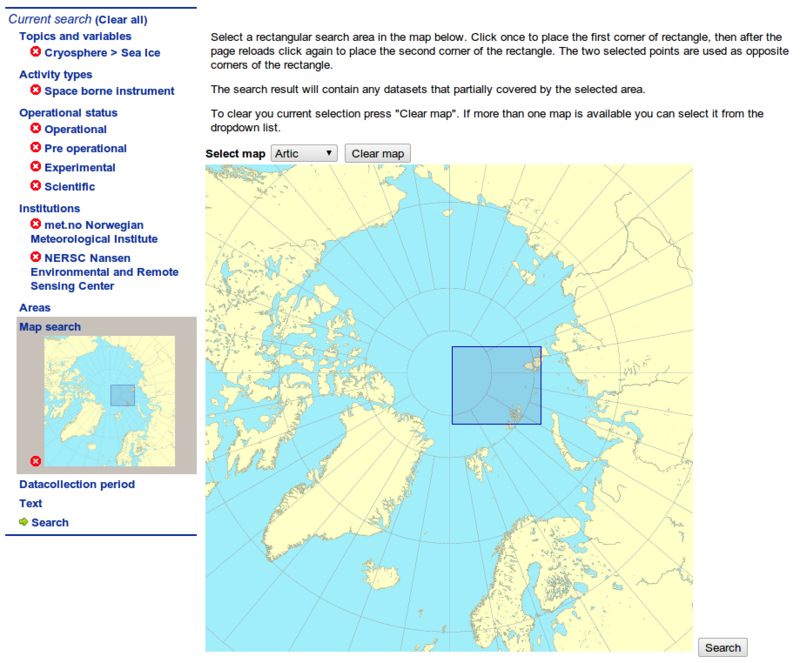 First click on the map in the upper-left corner of the region of interest, then click in the lower-right corner. 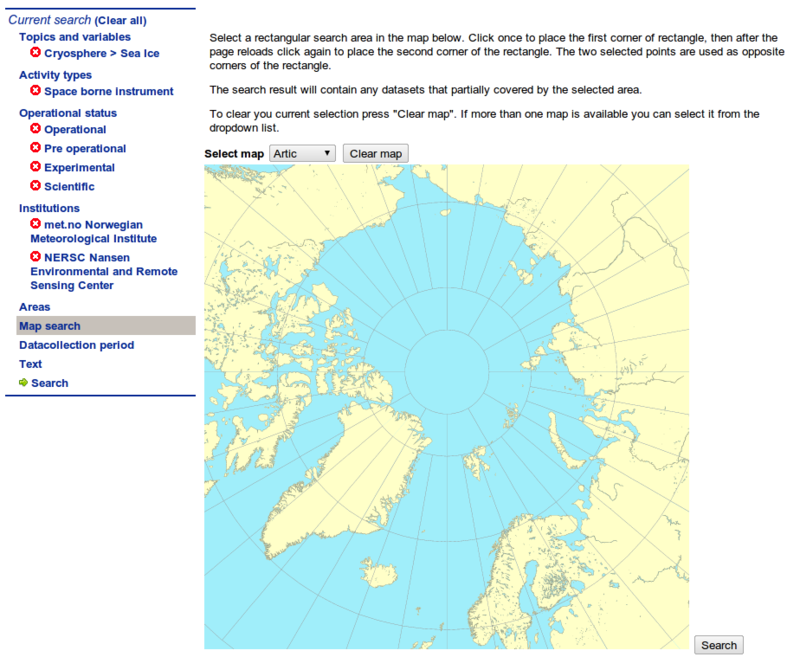 Finally click the 'SEARCH' button below or on the 'Search' link in the left menu. 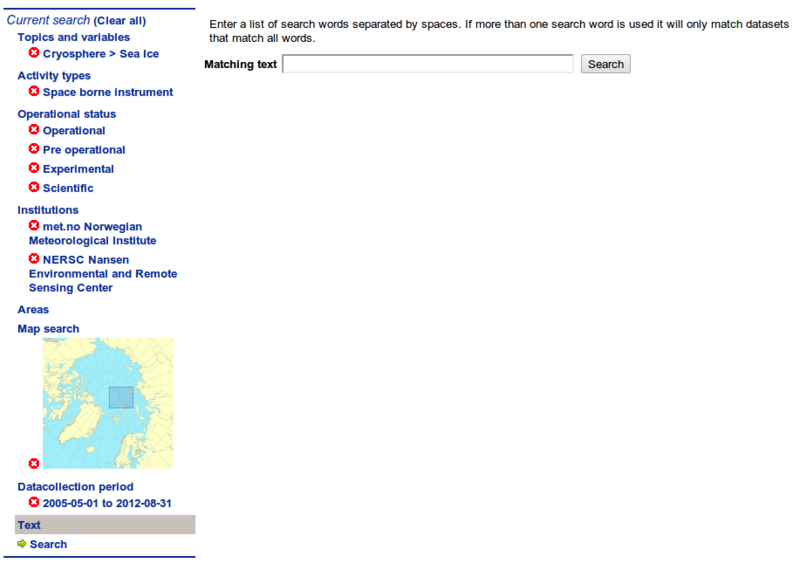 That will perform search using criteria defined in each search category. 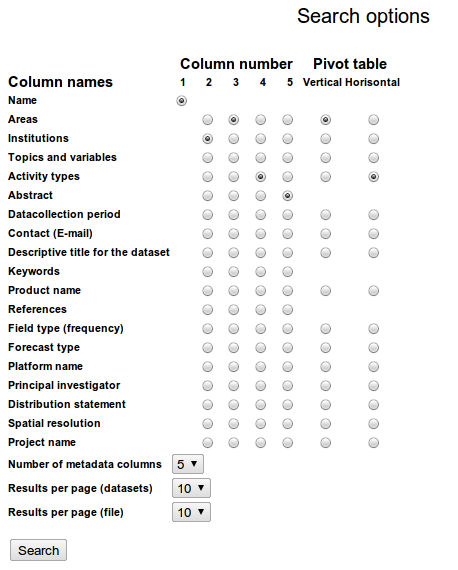 The search results will appear in a table with 5 columns. You can set up what information should be shown in each of the columns. 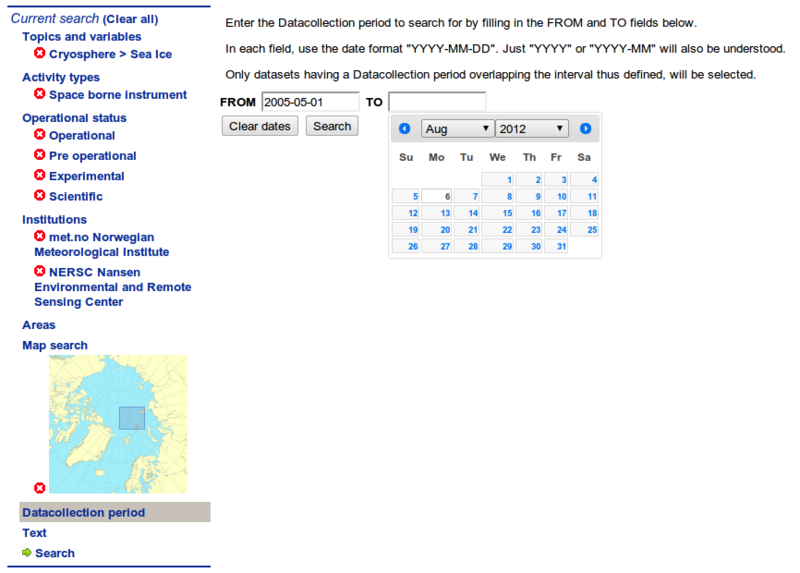 Click on the 'Search options' link above the table with search results and you will see selector of shown columns. Read how how to visualize data on-line, how to download the data, how to process the downloaded files.